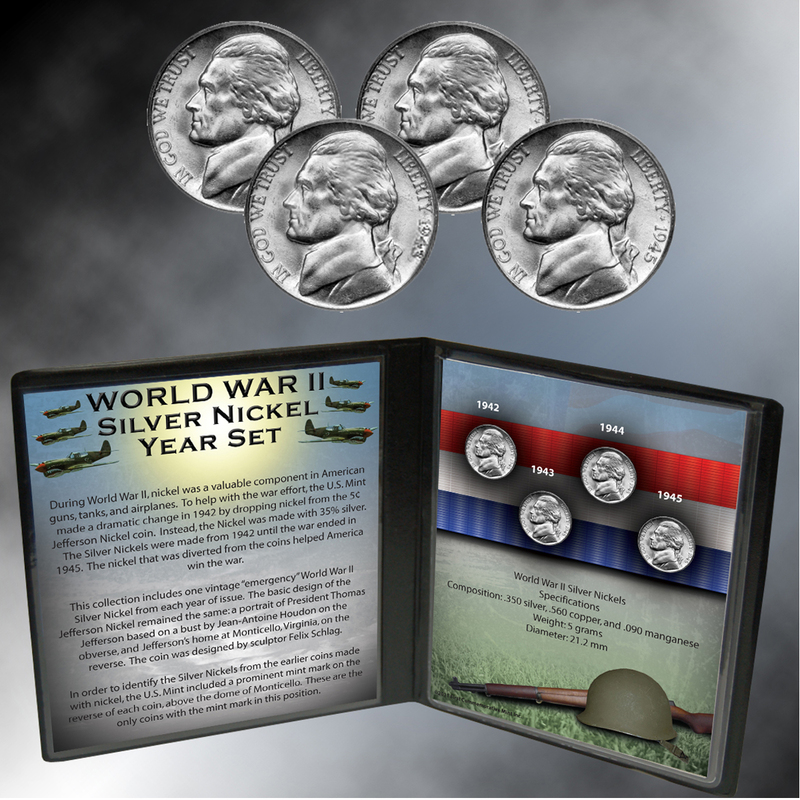 During World War II, nickel was a valuable component in guns, tanks, and airplanes. To help the war effort, the U.S. Mint eliminated nickel from the 5¢ Nickel coins. Instead, it struck the Nickel in a new alloy that includes 35% silver. Made from 1942 until the war ended in 1945, these were “emergency” coins and the first and only Silver Nickels in U.S. history. 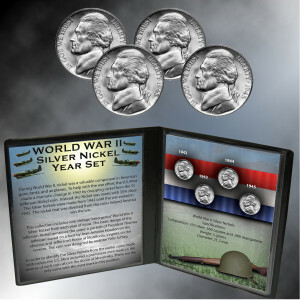 This set includes one coin from each of the four years the coin was made: 1942, 1943, 1944, and 1945. 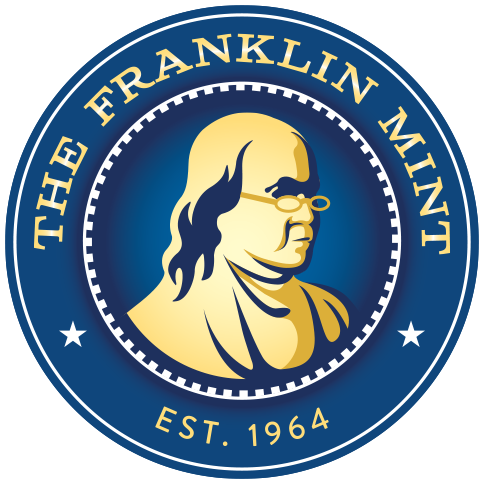 In order to identify the Silver Nickels from the earlier coins made with nickel, the U.S. Mint moved the mint mark from the obverse to the reverse, above the dome of Monticello. These are the only coins with the mint mark in this position. The obverse is the same portrait of Thomas Jefferson that was used since 1938. Each coin is more than 70 years old and has been out of circulation for generations.